For most women, age best predicts the chance of conception each month. However, despite having regular menstrual cycles and normal periods, many women will lose their fertility sooner than expected. There are several tests which help predict whether a woman may have a faster biological clock, such as the anti-mullerian hormone (AMH) test). This blood tests helps to estimate what is called "ovarian reserve" by measuring a hormone produced by ovarian cells that are involved with regulation of egg growth and development. 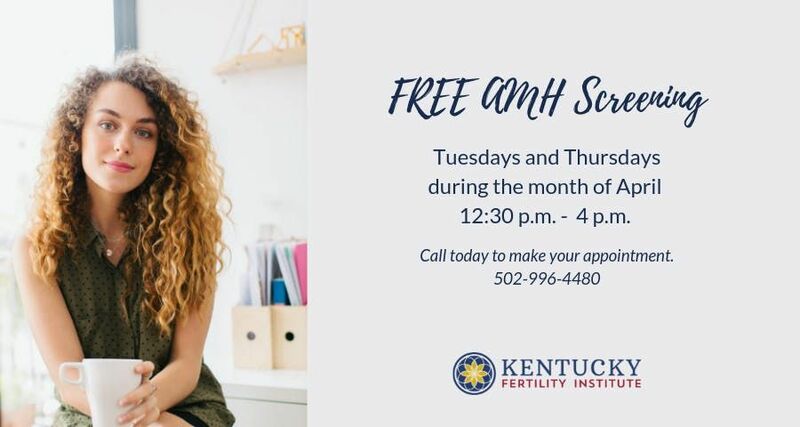 During the month of April, Kentucky Fertility Institute will be offering FREE AMH Screenings* on Tuesday's and Thursday's 12:30pm - 4:00pm during the month of April. 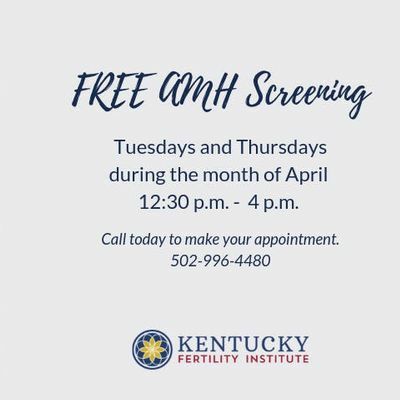 You must call to schedule an appointment to receive a FREE AMH Screening. *Screenings available for females age 25-45. *Does not apply to current patients.